When photos of Tokyo taken, for example, in the 1950s are compared with recent ones, it’s easy to see how much the city has changed. But what about in the last decade? In 2007, writer Tatsuo Mitsuchitook photos at various spots throughout the city. Then he returned to those same places this year and once again took comparison shots. The result is fascinating. The images below are courtesy of Mitsuchi and website Daily Portal Z.
Don’t believe this is the same place? 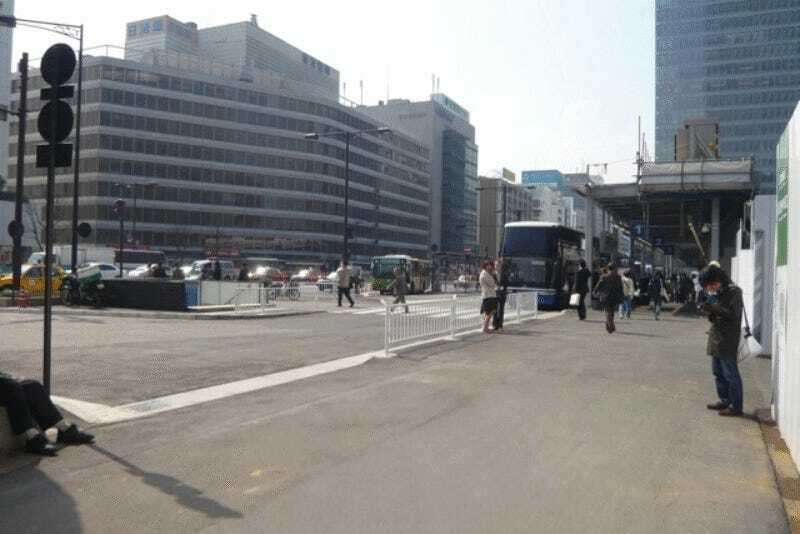 Mitsuchi uploaded this helpful image on Daily Portal Z to point out that, yes, this is the same spot. Look how recent the new buildings are. What caused these changes? Ten years ago, there were more old Showa-era buildings in Tokyo. They were built right after the war and were starting to show their age, so they have been replaced with gleaming new structures. Other buildings were only a few decades old, like the ones in the 2007 Otemachi photo. Japan has a long history of building buildings only to tear them down with new ones. This is an earthquake-prone country, so that makes sense. But it’s deeper than that: the main shrine buildings at Japan’s most important Shinto shrine Ise Jingu are destroyed every 20 years. This has been going on for over 1,300 years and is something about Japan that hasn’t changed. Also, during the past decade, there has been an increase in foreign tourists, especially from China, leading to hotel construction and renovation. Not all the changes have been drastic. But many of them have been. For more, check out Daily Portal Z. You can also follow Mitsuchi on Twitter here.